How much is Emmanuel Lubezki Worth? Emmanuel Lubezki Net Worth: Emmanuel Lubezki is a Mexican cinematographer who has a net worth of $10 million. Emmanuel Lubezki (Morganstern) was born in 1964 in Mexico City, Mexico. He is the son of actor Muni Lubezki. Emmanuel Lubezki is also known by the nickname is "Chivo". Lubezki is best known for his work on the film Gravity, for which he won the Academy Award for Best Cinematography for his work. Lubezki began his career in Mexican film and television productions in the late 1980s, such as the horror-oriented cult series La Hora Marcada (1986). His first international production was the 1993 independent film Twenty Bucks, which followed the journey of a single twenty-dollar bill. Lubezki is a frequent collaborator with fellow Mexican filmmaker Alfonso Cuarón. The two have been friends since they were teenagers and attended the same film school at the National Autonomous University of Mexico. Together they have worked on six motion pictures: Sólo con tu Pareja (1991); A Little Princess (1995); Great Expectations (1998); Y tu mamá también (2001); Children of Men (2006); Gravity (2013). Lubezki has also worked with a variety of major directors, including Mike Nichols (The Birdcage, 1996); Tim Burton (Sleepy Hollow, 1999); Michael Mann (Ali, 2001); Terrence Malick (The New World, 2005); The Tree of Life, 2011; To the Wonder, 2013); Martin Scorsese (Shine a Light, 2007 as camera operator under supervision of cinematographer Robert Richardson);The Coen Brothers (Burn After Reading, 2008). He has been nominated for six Academy Awards to date. 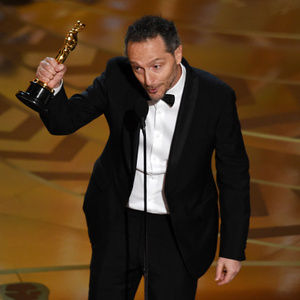 In 2016, Emmanuel Lubezki won the Best Cinematography Academy Award for the movie The Revenant.